Over my FIRE journey I am fortunate to have found ways to earn more which means that I am today a 45% additional rate tax payer. On top of that I also have to pay 2% employee national insurance on the last of my earnings. This means that if I earn £10 and I don’t salary sacrifice it into a pension wrapper I only end up with £5.30 to invest. My employer allows pension salary sacrifice, has a contribution match up to a certain percentage and also gives me 10% of the 13.8% employer National Insurance that they save when I contribute to the company pension. So under these conditions if I put that same £10 into the company pension I actually end up with £21 to invest. That’s nearly 4 times more. Even if I continue to contribute to the pension wrapper once the employer match is over its still favourable. In that instance I still end up with £11 going into the pension which is more than 2 times the savings outside of the pension. The wise among you will now being saying ‘but pensions are just a tax deferral scheme’ and that’s certainly true but let’s look at how that will play out in FIRE. The UK in my view can almost be considered a tax haven for those with enough wealth that work is not required. To demonstrate let’s take £20,000 from that pension pot every year. The 25% pension tax free lump sum effectively gives one £5,000 tax free. Then one also gets a 0% tax rate from the £11,000 Personal Allowance leaving just £4,000 subject to 20% Basic Rate tax. That works out to be an effective rate of tax on the £20,000 of just 4.0%. Move to the Mediterranean and it could be even more favourable. Cyprus, for example, gives a choice of how pensions can be taxed. The first is 0% tax until you earn EUR19,500 with the next band being 20%. In this example our £20,000 (assumed to be EUR22,460) sees an effective tax rate of just 2.6%! The other method favours high pension sums as the income is taxed at the flat rate of 5% on amounts over EUR3,420. In this example one’s effective tax rate would be 4.2% so one would pick the former in this example. So if I don’t save into the company pension I’m effectively taxed at 47% and if I do I could be taxed at rates as low as 2.6%. Of course there will also be some taxes on the non-pension choice but this just makes the pension even more favourable. In exchange for these benefits one can’t access the wealth until aged 55 (which could well become a higher number) meaning one would need wealth outside of the pension wrapper to cover costs until private pension age (today I have 55% of my wealth outside pension wrappers). Additionally, one is also subjected to a myriad of pension rules and regulations that are constantly being changed by government. Let’s look at how a couple of those are affecting me at the back end of my FIRE journey. The first is what is called the contribution Annual Allowance. This is the limit that one can save into pension wrappers each year and still receive tax relief on the way in. In the 2016/17 tax year the annual allowance is £40,000. That’s a lot of money but further consideration is needed as nothing with pensions is straight forward. If one is fortunate enough to earn ‘adjusted income’ of over £150,000 per year one loses £1 of annual allowance for every £2 of ‘adjusted income’ until the ‘adjusted income’ is £210,000. By that time one’s annual allowance is down to £10,000. ‘Adjusted income’ includes all investment ‘income’ and all pension contributions so it doubly affects me (work income and investment ‘income’). To help with some of the damage I’ve so far been using a favourable rule called Carry Forward. This allows one to add unused contribution annual allowance from the three previous tax years to the current annual allowance. It’s important to remember when considering carry forward that the allowance was actually £50,000 in 2013/14, was £40,000 in 2014/15 and while theoretically was £40,000 in 2015/16 government tinkering could mean it’s actually a lot more. So what pension changes is this forcing me to make now? My carry forward is fast running out and so working on the assumption that I FIRE no later than September of 2017 I need to reduce my pension contributions by 25% which will hit my savings rate from here on in. Not ideal but the impact is lessened because of the relatively short time until I won’t have to worry about it anymore as I’ll be FIRE’d. The third rule is what’s called the Lifetime Allowance (LTA) which is a limit on the amount of pension income that can be taken from one’s pensions without incurring extra tax charges. In 2016/17 the lifetime allowance is £1 million, in 2017/18 it stays at £1 million and from then on it is supposed to increase with ‘inflation’ (in my planning I’ve assumed government will choose the less favourable CPI). It sounds like a lot of money but when you consider a FIRE’ee could have 10 or 20 years of compound growth before they can access their pension it’s something to watch. The table below simulates what my pension wealth could be at the point I can access my pension. That’s starting to get a little too close for comfort even after reducing pension contributions. It looks like if I FIRE no later than September 2017 I’ve timed me pension contributions pretty well meaning I’ve avoided about as much tax as possible through the use of pensions. Salary sacrifice is even more beneficial for lower paid jobs if you can live off other income and bring down your nominal wage to minimum wage, as you save not 2% NI, but 12%. See http://www.aviva.co.uk/salary-sacrifice/tsandcs.html if you want to present numbers to your employer. A couple of points on pensions. Firstly, the tax relief makes them a "no-brainer" for long term wealth accumulation if you are fortunate enough to be a higher rate tax payer - as your numbers demonstrate. However, make use of every penny of tax relief available within the limits while it still lasts. That leads to the second point. By far the biggest risk of saving in a UK pension is political risk of endless rule changes, or worse. Pension money is trapped and completely exposed. Dark fiscal clouds are gathering over the UK and who knows where this will end. £trillions sat in private pensions will be too much of a temptation for our profligate politicians over the coming decades if they ever need to plug a hole quickly. Of course it will all be presented under the banner of making those with the broadest shoulders carry the greatest load. Be warned. History shows that those who place their trust in politicians over the long term are usually disappointed. Hi, Not sure that I fully agree with your LTA comments. It is not only about pension income taken, because at the of age 75 the pension pot remaining is also measured against the £1m limit. Assuming that you move £1m into drawdown at the age 55 (you have used 100% of LTA) but if when you reach age 75 the fund is now worth say £1.25m - you would have to pay 25% tax on £250k.This could happen, if say like me, you intend to just drawdown the funds income and not eat into the capital. This is how I understand it and it is not easy to understand! Thanks for the clarification Tim. Post duly corrected. so you should run your pension model to age 75 rather than 55? The best thing with my SIPP is that I am in control of how much I take as income whilst the balance grows tax free, you may have to withdraw all of the income (divs and growth)each year as you may already be on the £1m LTA limit! Hi, Have you considered transferring your SIPP to a QROPS? This crystalises the value against the LTA, and then you no longer have to worry about the value of your pension exceeding the LTA. Downside is you have to pay for an IFA advice before being allowed to transfer. I have been investing in my SIPP for 13 years (I am 46) and the value exceeded the LTA after Brexit. Prior to Bexit, I had started the transfer but the value exceeded the LTA whilst the paperwork was being completed. Costs for IFA was £2k, but I did receive quotes for £10k. My holdings in my SIPP were transferred in-species, and the balance above the LTA remains in my UK SIPP. My QROPS is based in Gibraltar, although administered in the UK. It is a self-invest option which allows me to maintain control. I don't beleive Malta has this option. Gibraltar have a flat tax on pensions of 2.5% as well as the 25% tax-free limit. So you still have to pay this tax in addition to the taxes in your country of residence, but since it is already taxed, retiring in South Africa for instance, means there are no further taxes to pay. There is a website that details the tax liabilties for each country if holding a Gibraltar pension (www.aesinternational.com). I do not hold my QROPS with them, nor am I affiliated. "The other method favours high pension sums as the income is taxed at the flat rate of 5% on amounts over EUR3,420. In this example one’s effective tax rate would be 4.2% so one would pick the former in this example." I wouldn't. I'd take the second method but withdraw pension money just one year in three. So I'd pay approx 4.2%/3 = 1.4%. My fee is just 100 guineas. Sort of. You've ignored the basic state pension which is taxable. So using current values & the new state pension £8073 pa has to be subtracted from your personal allowance of, say, £11,500pa leaving only £3,400 free of badiccrate tax from your normal retirement date. Assuming SIPP pension can be taken up to 10 years before NRD you only have that 10 years before £8k of your personal allowance kicks in. So for high value SIPPs it will be all bit impossible to withdraw income tax free. Gotcha!! You are of course correct. Except for me the State Pension is an insurance policy only (if it goes horribly wrong) and so I don't build it into any FIRE models. If my FIRE works I'm assuming I won't be entitled to it because of some new rule or other. If I do then even with the extra tax I'm still going to be better off than my models predict. It does however make Cyprus even more attractive from a taxation perspective. I am pretty confident that you will get the state pension but it will not be the full amount as I doubt you will have 35 years NI of not contracted out employment.Also your 'tax haven' is per person so I assume your assets and income are shared by 2? Thanks for insightful post, keep up the good work. 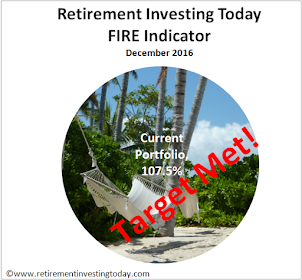 The challenge facing many people chasing the early retirement is they actually need two portfolios. You’ve done a good job here walking through the tax advantages of SIPP contributions here, and for when retirees are at or over the recognised retirement age (55 today, 57 in 2028, or whatever the age happens to be should the government move the goal posts) SIPPs are a valuable tool. What doesn’t generate as much interest is the portfolio required to cover the period between pulling the FIRE trigger and that officially recognised retirement date. Depending on lifestyle choices and earning power that period could extend 20 years or more. For many that early retirement period will be as long (or longer) than their official retirement lasts, but without many of the tax relief benefits. I wonder how much the skew towards salary sacrificing actually delays the early retirement date for people, where on paper they have the means to retire but due to the restrictions on accessing wealth held within those tax advantaged pension wrappers they can’t afford to support themselves until those pension funds kick in. Golden handcuffs? While it's so cheap borrow to fill the gap. My modelling includes state pension age-5 as a possible scenario. Great post as always - and something that is close to my heart right now as I am going through similar calculations of where I am and what goes into the pension. I think if you are reasonably well above the cut off for higher rate tax, pension savings make a great deal of sense (especially around the 100k and 150k barriers as well). I recently trimmed my savings into Pension and diverted into my other half's ISA as I was concerned about the LTA. Its the unknown about political risk that is one of my bigger worries - they keep putting the pension age up, so when I started work it was 50, now for me its 57. The LTA has plummeted, so what comes next? With all things, it comes down to diversification, not just on the portfolio, but where its held, wrappers etc. Afiak its still 55, no official raise to 57 (would be interested to see if you link to that is poss? ta) - it was mentioned as consultation but is not policy (yet). I'm a 45 yr old basic rate taxpayer and have always thought that the 20% contribution to any pension savings was a nice little earner. I've just decided to stop paying into my SIPP and make all payments into my Stocks & Shares ISA. I own a couple of flats that make a small amount of income after mortgage costs. Under the new BTL tax rules, where rents will be taxed as income, I will be classed as earning approx £11k from them. This removes any benefit of a pension for me (apart from the 25% tax free lump sum. The only negative I can see with only paying into my ISA is needing to be very disciplined to not withdraw any of it before retirement. What has changed is the stamp duty payable on property other than your primary residence and how mortgage interest can be offset against income tax. I think you may have that the wrong way round, HRT payers will be worse off as they can only claim IT relief against mortgage interest at the BRT level. Also, it sounds like you won't be able to fudge wear and tear any more and you won't get to enjoy the reductions in CGT when you get round to selling.. This is an interesting blog, Robert, but how many people are really realistically prepared to do without a spouse or a family, and leave the country in order to buy somewhere so cheap they can - and in fact must - live on £24k a year forever with no prospect of ever becoming more prosperous? What would be your advice to people with elderly parents? Do you just leave them to fend for themselves as they get older while you live on lentils in Cyprus? What are property rights like in Cyprus, by the way? That has always been my issue with foreign countries - the risk of expropriation, such as happened in northern Cyprus. It all strikes me as a rolling stone's approach to life. mmm lentils - you could read some Harry Browne? I'm working through 'How to be free in an unfree world'. I think it would present the appropriate mindset and make its case. Thats all pretty subjective though. A more objective observation is that the old firecalc sims show that there is a good probability RIT could become significantly more prosperous in the future. The £24k should probably be viewed as the worse case scenario? Whats next? RIT the movie? 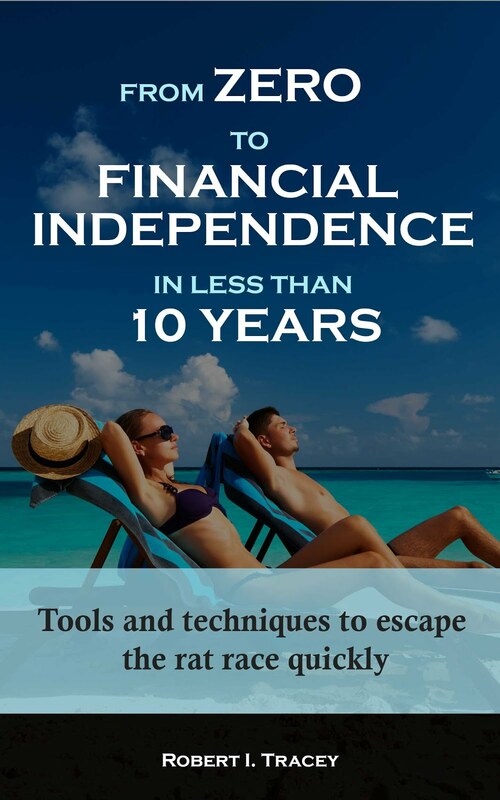 Positively, it's already getting good reviews and is already number 3 in the retirement planning category. It's also already number 7 under personal finance. My family have been incredibly supportive these last few months. Since reaching FI I've done nothing but work, write and sleep a little. Ove rthe years I've been asked many times if I'd write a book but inside I always thought I lacked credibility until I was FI. Once I passed that milestone it was the right time to do it as it was then coming from someone who had lived it. "RIT the movie?" LOL. I think I might need a little lie down first. Now is that you and the missus on the front cover? If I said it was would you believe me? haha - yeah I think I would. You've kept yourselves in good shape. Wondered how long it would take for someone to comment on the pen-name. Clearly I didn't do such a great job there as it only took you 4 days to figure it out... Here I was thinking I was being clever. Am just reviewing my pension situation as the self assessment deadline approaches quickly. Can I get your advise, as am confused about claiming tax relief etc. Now I know that latest tax year, is gross contribution, but can I claim higher rate tax payers relief for years 2014/15 and 2015/16? I guess ideally I would contribute more into my SIPP, but savings are not healthy enough to add more at the moment, but i guess if I do get any relief, as per above, i will push it into my SIPP. Please can you clarify, based on your experience.